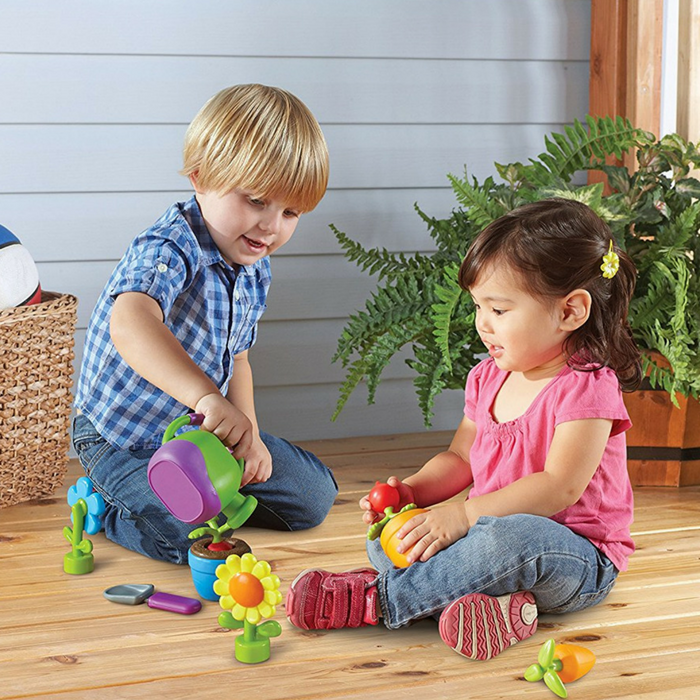 Learning Resources Grow It Playset Just $12.74! Down From $25! You are here: Home / Great Deals / Amazon Deals / Learning Resources Grow It Playset Just $12.74! Down From $25! This is a great learning tool for your little ones! Head over to Amazon where you can score this Learning Resources Grow It Playset for just $12.74 down from $24.99 PLUS FREE shipping with Amazon Prime or for orders over $25! With the New Sprouts Grow It! Set, kids can plant the seeds for imaginative play! Specially designed for little hands, these easy-to-grip, durable, and washable pieces feature a real-life look and feel. Soft plastic parts make them especially safe for toddlers. This learning set comes complete with everything a growing gardener will need, including flowers and vegetables, pots, a watering can, and more!